We all have heard about the samurais who have been blessed with amazing combat and martial arts skills with a sword in their hands. For all the samurai craze fans out there, Samurai Master is a special treat. 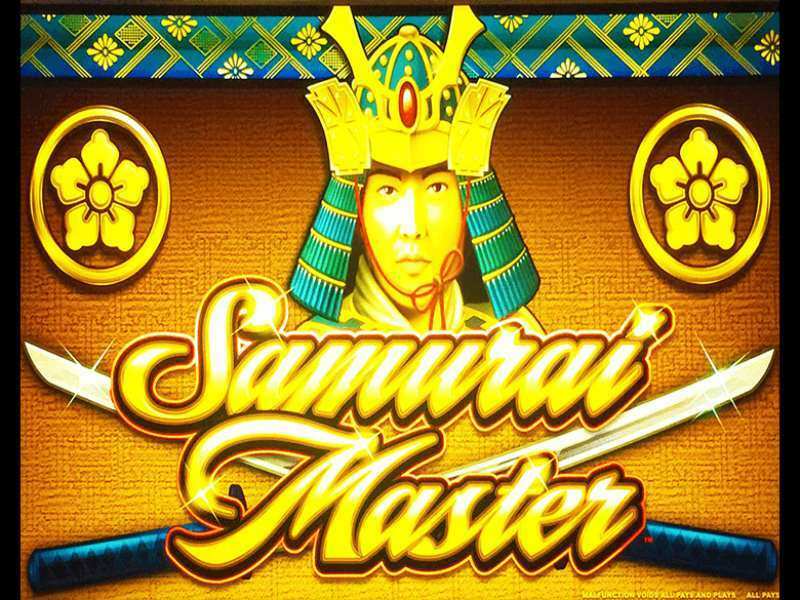 Samurai Master slots have been designed by WMS, a popular game developer. This particular slot game is packed with lots of symbols, offers a plenty of free spins and allows the player to garner a lot of coins through its generous payout system. This UK developed slot game has a bag full of features and the players are literally bombarded with rewards, provided the players are quite lucky. Samurai Master is one such slot game which provides an uncomplicated way of gameplay for even the most novice of players. As already stated, it has a unique theme based on the iconic Japanese culture and as the name of the online casino clearly suggests, this very popular slot game is based on the Japanese samurais. Samurai Master Online has 5 reels and 30 paylines and one can easily adjust the pay lines by “+/-“ signs. The players even get an option to adjust their total bet amount ranging from 0.30 $ to 5 $. The players also get the feature of “Autoplay” which means that the players are able to do other work while letting the reels to roll on their own. The symbols present in this game are bonsai tree, boat, Koi fish, throne, Japanese gold coins, Japanese vase, temple, crane bird and Samurai warriors. It definitely has wild and scatters symbols in addition to the already mentioned list of symbols. The wild symbol is represented by the Japanese writings which can easily substitute the Japanese symbols. Here, Japanese gold coins are actually the scatter symbols. The players get the opportunity to play free Samurai Master online slot machine and thus enjoy this wonderful slot game with the expense of no real money. One can easily expect lots of winnings from this slot game since it has lots of symbols to play with. The players get a chance to win the coins if they are able to match two symbols on the pay line of the slot machine. If you can land 3 scatter symbols, the player is rewarded with 10 free spins. If you can land 4 scatter symbols, the player is rewarded with 25 free spins. Finally, if all the 5 scatter symbols appear on the reels, the player gets to win 100 free spins. There is also an option to increase your winnings up to 5 times which actually test the player’s luck by selecting either red or black option. Since it is a no download slot game, so players find it very helpful to play this game and enjoy the rewards. The players get a chance to try out their luck to win big at the Jackpot Party Progressive bonus round where one can win one of the progressive jackpots. Since there is no requirement to deposit any amount of cash before the play, this enables the players to win everything that they can without spending any moolah. Samurai Master online slot game is definitely considered to be one of the best online slot games and actually ticks all the boxes of what a player searches in a particular slot. Any player while playing this slot game mustn’t forget that although the winnings might be in the hundreds, players do gain a lot of free spins through it. It’s time to unsheathe the sword of a Samurai warrior and let your sharp gambling skills like a Samurai sword do all the talking. 0 responses to "Samurai Master Slot"